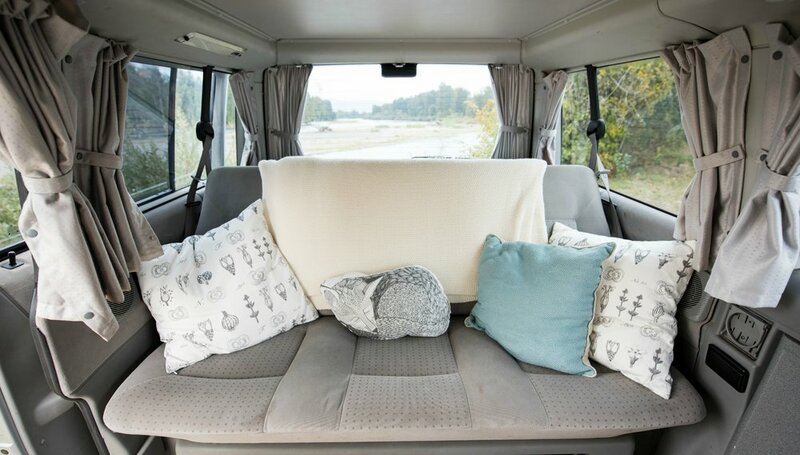 GoCamp offers two different types of VW camper vans – what are called “Weekenders” and “Campers.” Both styles have the fun pop top that can sleep two. The big difference relates to how the space in the main cabin is used. Weekenders have plenty of space. The back seat in Weekenders is extra wide. 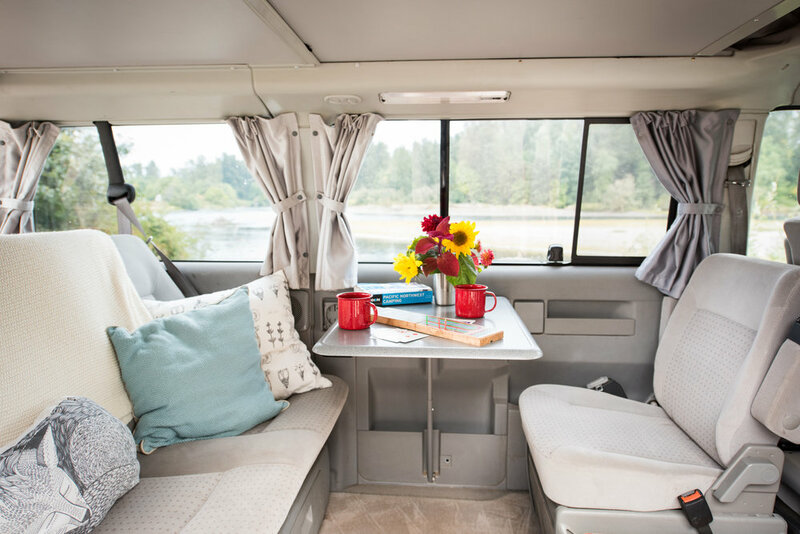 To reserve this van, the Metolius, simply click here or the Reserve Now link above. 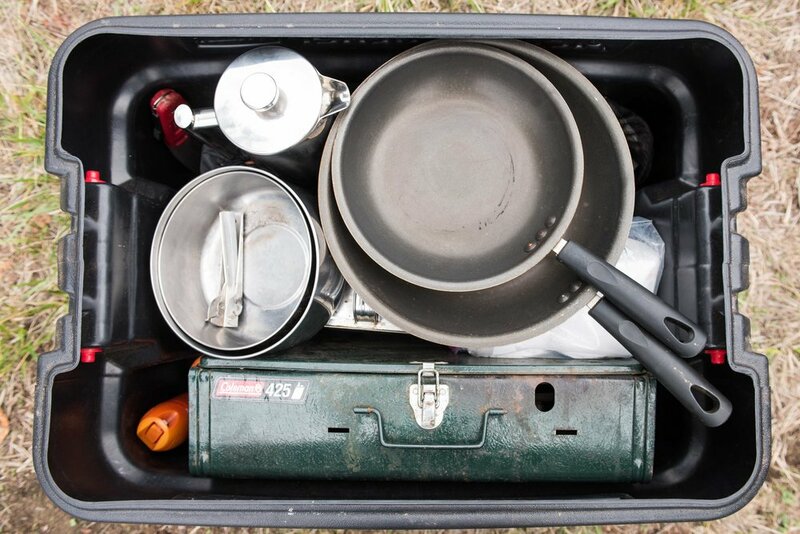 Campers have a little kitchenette inside the van that includes a sink, a two-burner gas stove, and typically a small fridge. But in gaining the kitchen, you give up some elbow room. Weekenders don’t have the kitchenette, instead the backseat and lower bed are extra large, a great trade off. How large? The bottom bed in a Eurovan Weekender is 58"x74" while the bottom bed in the Camper is 43"x74". In both, the top bed is 43"x74". More space often translates to more people having fun. Weekenders seat three in the back seat, and also include a rear facing jump seat behind the driver for a total of 6 passengers. Kids absolutely love the rear facing seat; it's like being on a train. Many models also include an optional seventh seat located behind the front passenger. If you need to throw a tent in the van and extra sleeping bags and pads, we’ve got you covered. In Weekenders a table inside the van swings up for dining or playing cards. All GoCamp Weekenders, like the Metolius pictured above, are loaded with a fully-equipped exterior kitchen set up and everything you'll need to cook. They also have everything you’ll need period. 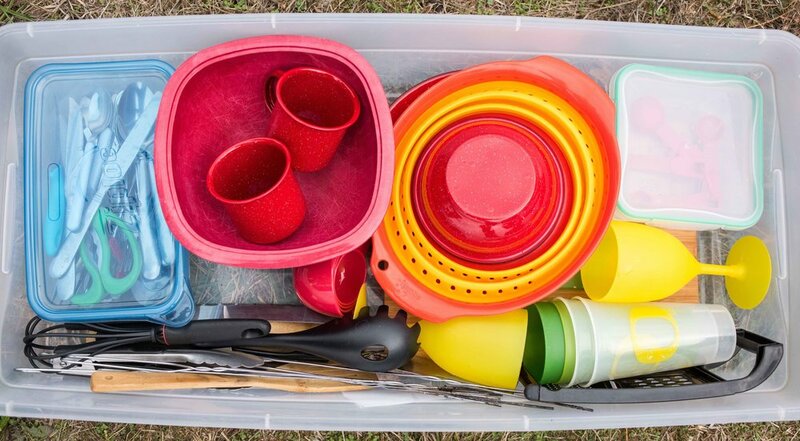 Bedding such as sheets, pillows, blankets and sleeping bags are included in your rental, as are all the items you’d expect when camping, such as camp chairs, a portable table, head lamps, lanterns, and much more. Also, many GoCamp vans have roof racks so you can take all your toys. 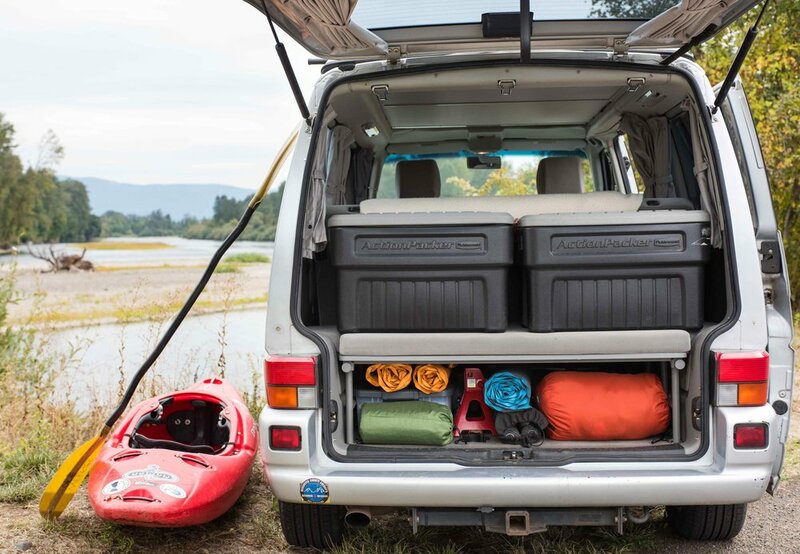 All you have to do is load up on groceries and hit the road, for a weekend or a week in a Weekender. To reserve the Metolius, simply click here or the Reserve Now link above.